Several other topics, in both history and science, are also available. "Get on board! Join Lewis & Clark and the Corps of Discovery as they explore Thomas Jefferson's Louisiana purchase and expand America's borders from sea to shining sea. 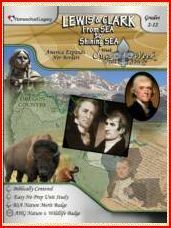 Lewis & Clark: From Sea to Shining Sea is a fascinating 7-week unit study that will take you back in time and introduce you to the explorers of New France, Napoleon Bonaparte, as well as Thomas Jefferson and his Louisiana Purchase, before setting off on an adventure of a lifetime! Wow, I feel like I am saying this a lot lately. But it just keeps coming up. And it is a subject near and dear to me. I don't like textbooks for history. They tend to be dry and boring, and quickly pass from one subject to another without delving into any topic for long. I prefer to use living books, unit studies, documentaries, etc. So, Homeschool Legacy's products are "right up my alley." I love history and I love living books and I love unit studies. So what is there for me not to like about this program? I think this program is awesome. I chose the Lewis and Clark unit study because my 13 year old daughter was in a play last year called, "The Westward Movement" and it had a scene about Lewis and Clark. So I figured we would spend some time learning more about it. It was a great choice. This is such an amazing story, full of adventure and hardship, perseverance and God's guiding hand through it all. Sharon Gibson has done all the prep work for you. You simply read it and use it. It truly is that simple. 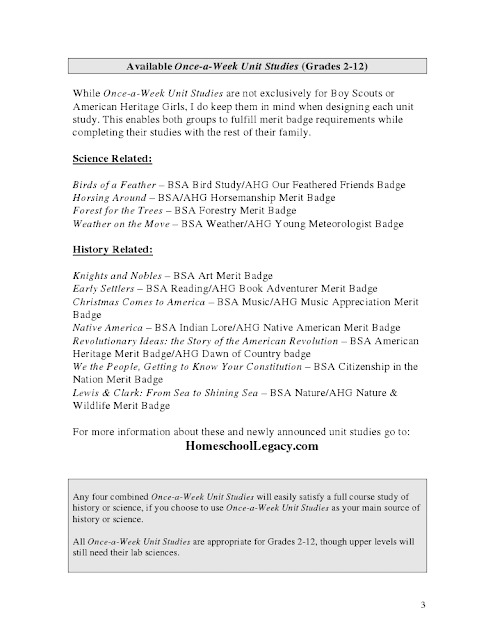 Your whole family can come together for the unit study, targeting grades 2 - 12. Lists of reading books to choose from are included for each week's topic, ranging from pre-readers to advanced readers. And if you choose to make it more challenging for older students, Sharon suggests using the included Dewey Decimal location to find suitable books in the adult section. Only specially marked books on the list are required reading. The rest are up to you, as the parent, to pick and choose, which also makes it easier to find a suitable substitute if your library doesn't have an exact title. If you decide to substitute, keep in mind that the choices listed in the unit study have already been carefully screened. She even mentions "need-to-knows" like the movie selection of "Bears" having one reference to tens of thousands of years. This program makes it easy to improvise and adjust to what works for you. But the suggested schedule is to assign the independent and group readings on your "regular" school days. Then work on the "once-a-week" activities on Wednesdays, leaving time on Fridays or Saturdays for Family Game/Movie night and field trips. Ms. Gibson includes a movie each week to go along with the studies, readily available from NetFlix (and possibly your library). This is a very do-able schedule. Wednesday gives a nice break from the text books, while still learning plenty and Fridays give the children something special to look forward to, which is still related to the weekly study. I love that character training is built into the program. For example, the Corps "persevered" through some very trying times, things that would have sent many of us running. So the family devotion for Week 5 will focus on perseverance. Of course, with the mention of the Fruit of the Spirit in Week 6, my daughters broke into song. They memorized a song about the Fruit of the Spirit several years ago. So any time the Fruit comes up, they burst into song. Geography studies flow naturally throughout the unit. Seeing an outlined map of how the United States doubled in size over night with the Louisiana Purchase was mind-blowing. Can you imagine? A country doubling in size without a single gun being fired? Without a single life being lost? I kept emphasizing this to my daughters, wanting to make sure they really got it. This is just unheard of. A once-in-a-lifetime opportunity and the President jumped on it. I also appreciate how Ms. Gibson ties in other events going on at the same time, to help put things into perspective and to help us see how these events were just a small part of the big scheme. Did you realize that Napoleon Bonaparte was ruling during the same time as the Louisiana Purchase? Or that he had intentions of landing at the Port of New Orleans, before incurring a major setback? 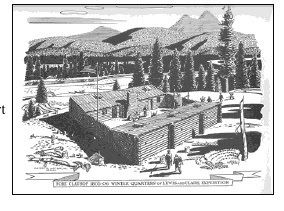 Did you know that the Corps gave a slave equal voting rights when deciding where to camp for the winter? This was 65 years before slaves had the "official" right to vote in the United States. After learning that Native Americans weren't allowed to vote until 1924, my 13 year old commented that "we" haven't always been very nice. She is so right. We should celebrate our triumphs, like the major feat of the Lewis and Clark Expedition. But also should learn from the mistakes of the past, like prejudice. And that we don't always have to go with the "flow". Lewis and Clark definitely went against the norm of the time by allowing both Sacagawea and Clark's slave an equal vote. Art projects, science experiments, composition assignments, and more. This unit study truly is well rounded and thorough. 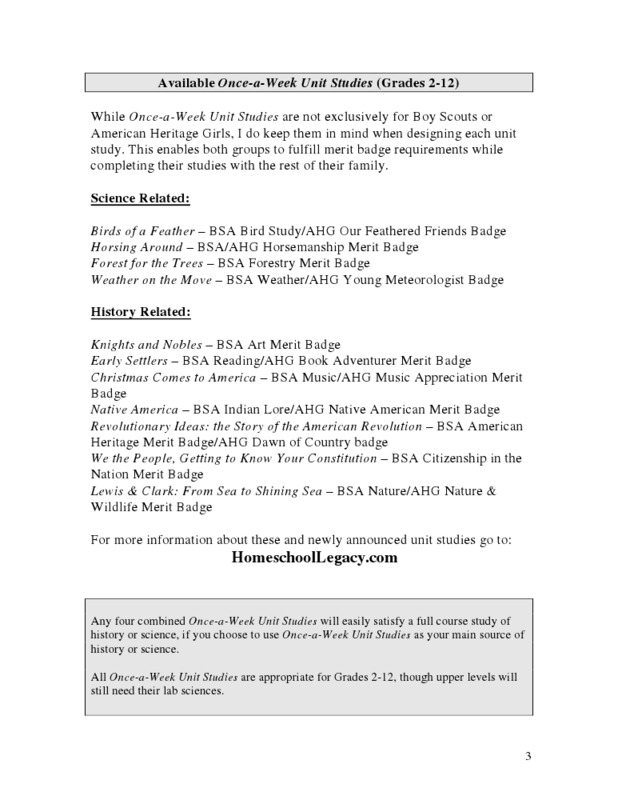 This unit study covers a variety of subjects, using a variety of learning styles. Each lesson ends with a "Stump Your Dad" trivia. I haven't met a child yet who isn't thrilled to show up a parent, to proudly know a fact that mom or dad doesn't know. One of my sensitive little girls melted my heart though. She said that she thought the name should be changed to something else, like "Stump an Adult". Because if a child didn't have a dad, she would be sad every time she read the title. Sweet girl. If you would like to know more about how it all works and how to put it to use, here is a detailed suggested schedule. I highly recommend this series. It is so easy to use. It uses the Living Book and Unit Study approach which I love. It makes it easy to incorporate my whole family. The books and movies are already selected and pre-screened for me. Art projects and science activities are planned out for me. Research and composition assignments are great for the older children. Younger children can share what they have learned verbally or write just a few lines, depending on their age. Other wonderful resources are also available from Raising Real Men. "Jarah was a slave in Egypt. It was a dangerous place to be. Her work was exhausting and her family was torn between the gods of the Egyptians and the God of Abraham, Isaac, and Jacob. 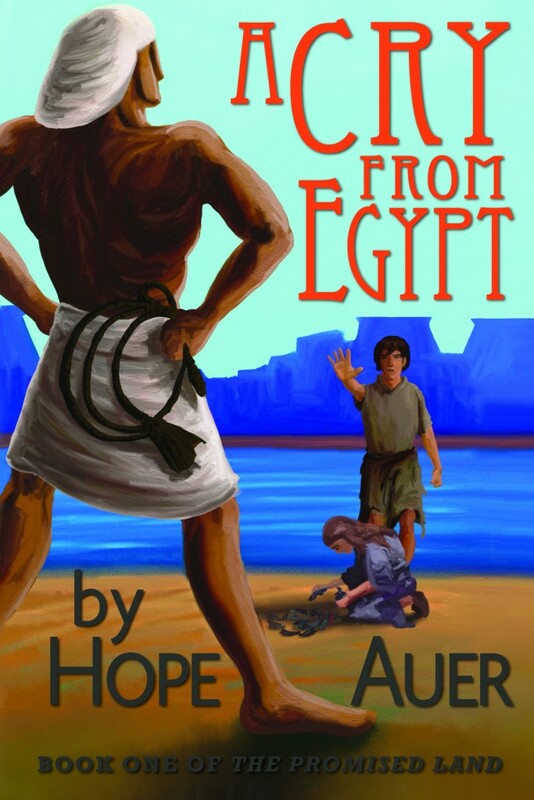 And her brother… would his Ada be given in marriage to an Egyptian in the palace? Would they ever be free? Adventure, excitement, love, and faith come together when Jarah and her family fi nd themselves at the culmination of four hundred years of history." If you are familiar with my posts, you probably know that I don't like textbooks for history. 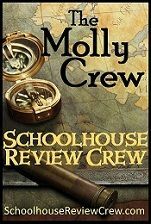 I find them dry and boring, and they don't spend enough time on one particular topic for a student to truly get a thorough grasp of it. That is why I prefer living books, movies, documentaries, etc. Things that were written or produced by people who have a passion, and thorough knowledge, of the topic they are discussing. So when any living history books come up for review, I jump at the chance to read it. The fact that this book was written and illustrated by homeschool graduates makes it all the more exciting for me, being a homeschool family. My children and I are very familiar with the story of Moses and his mission to get the Pharaoh to "let my people go". We know that Moses argues with God and didn't want to be the messenger. And how God sent several plagues to show His power to the Egyptian Pharaoh. Then Pharaoh finally lets the Israelites go, then changes his mind and chases after them. We know the facts, but this book helps us understand the feelings. Using fictional characters as observers of the events, we get a glimpse into how greatly the Israelites suffered while in slavery. How unbelievable and indescribable the unfolding events with Moses must have been. The great hope they held out that they might one day be truly free, after 400 years in slavery. This book has added such insight into an amazing time in history, when God worked amazing miracles and signs and wonders. "A Cry from Egypt" gives us insight into the culture of the time also: clothing, food, housing, traditions, climate, etc. This has been our favorite read-aloud this year. I didn't know what to expect, didn't know if we would enjoy it. But I can tell you now...It is very good. Other Fitness, Health, and Nutrition products are available for the home, co-op, and school. What exactly is Fitness 4 Homeschool - Core 1? I'll tell you in their words. 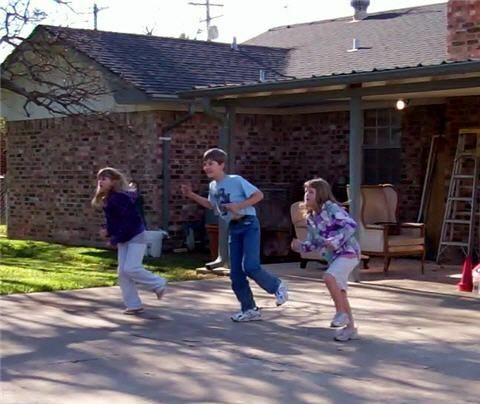 "The Fitness 4 Homeschool Curriculum allows homeschool parents to teach physical education without previous knowledge of physical education and athletic development. Our program, designed by experts in fitness training, nutrition and body movement, is designed to suit every age and ability level while affordably fitting into your budget. Our program combines flexibility and fun with a comprehensive curriculum to give your children a foundation for strong bodies and minds. Best of all, you get all this for only $57 dollars for all your children!" Would you like to try, before you buy? Here is the link to a FREE 2-day trial. I have thought many times about adding more exercise into our lives. I have even thought about adding something regular into our school schedule. We have tried a few things here and there, some working better than others. But as always, it was hard to remember and to be consistent. Summers have ample opportunities to get out and get active. But winters in New York are more complicated. We don't ski, so the long cold snowy winters mean many more hours indoors. It is more challenging to stay active and to not gain weight. I volunteered for this program, thinking it would probably be more a listing of exercise ideas. An assortment of activities to choose from. I have used resources in the past, which offered lists of activity ideas. The ideas were nice. But it was up to me to decide on a routine, and to also try to figure out exactly what the activity should look like based on the description. Another problem is that sometimes the activities require large groups, which doesn't work well with just 3 children. 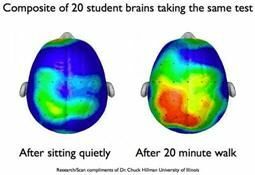 That is where Fitness 4 Homeschool differs. This isn't just a book of activity ideas. This is an actual Fitness Curriculum, specifically designed for families. 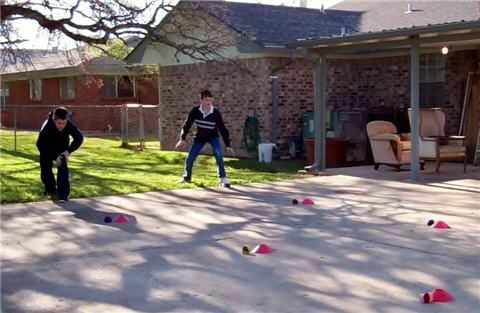 It has daily lesson plans, including warm-ups, exercise, cool-downs, and an outside activity. And no more guess work; each activity has a link to a video showing exactly how the exercise should be performed. All the guess work has been taken out of it for you. Is the program thorough? Yes, it is well balanced and includes warm-ups and cool-downs, plus indoor and outdoor activities. Is the program challenging? Yes, it has definitely challenged me. I knew I was not in the best of shape, not getting much regular exercise. But when the warm-ups took a toll on me, before I even began the regular exercises I knew I was in trouble. I think the daily routine is just the right length. Not so short that I feel like it was a waste of time. Not so long that I am too exhausted to finish. Did we like it? Depends on who you ask. (Isn't that always the way it is?) I enjoyed it. I felt like I was being productive and getting in shape. It was a welcome break in the middle of the school day to renew my energy and clear my mind. Speaking of that, check out the image below. My 13 year old felt it was silly. She would rather "freestyle" it and have a dance party, than do a structured exercise time. What can I say? She is a free spirit. My 10 year old enjoyed it and participated willingly. She said it made her feel "stretch-able". My 3 year old looked forward to it and as soon as I would say it was "exercise time", she would come running in the room very excited, doing all the activities to the best of her ability. So in our home, it had a 75% approval rating. Remember: You can try out the program for free. Here is the link to a FREE 2-day trial. This DVD is suggested for 4th grade - Adult. Marshall Publishing also offers many other great items, including historical DVDs about other great Americans, such Abraham Lincoln and George Washington Carver. I recently reviewed the George Washington Carver DVD. Running time is 60 minutes, including a very informative bonus track about Alexander Graham Bell. Marshall Publishing offers a study guide, with interesting facts and discussion questions. This will help you get even more out of the lesson and help you gauge your child's comprehension of the topic. "What was life like in America in the 1880s? Certainly nothing like today, yet many of the things we so cherish now had their roots during this significant and often time neglected decade in history. 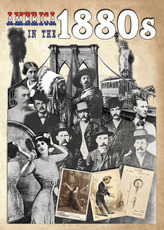 Just like a time machine, we transport you back to discover the people and events that shaped this exciting decade: the Brooklyn Bridge ...Washington Monument ...Statue of Liberty ...Gunfight at the O.K. Corral ...Oklahoma Land Rush ...Johnstown Flood ...Thomas Edison ...Mark Twain ...Baby Doe ...Sitting Bull ...Sarah Bernhardt ...John Philip Sousa ...Buffalo Bill ...Gilbert and Sullivan ...Wyatt Earp...Jesse James and Billy the Kid ....Alexander Graham Bell ....John D. Rockefeller ....Andrew Carnegie ....Samuel Gompers ....Susan B. Anthony ....Lillian Russell ....and many more! You will learn about fashion, politics, sports heroes, famous inventors, Wall Street financiers, railroad expansion, buffalo extinction, Indian resettlement, Civil Rights, union organization, urbanization, the music of the times, and much, much more! Through the use of live re-enactments, rare historical photographs and drawings, and award-winning photography you will be amazed, amused, entertained and educated about many little known facts and some life changing events that have become part of the foundation of our society today. As a special bonus feature, we also present an archival documentary film about the life of Alexander Graham Bell, his work with the deaf and the invention of the telephone!" I am fascinated with history, love to read about it...love to watch it...love to discuss it. I also love teaching history outside of textbooks...biographies, documentaries, etc. So I was quick to volunteer to review this DVD. The first 30 minutes is a documentary about the 1880s. A cheerful narrator and soothing background music are our guides on the journey. The journey is a walk through time to the 1880s. We have a front-row seat to a decade full of adventures. The DVD utilizes actual photographs, as well colorful video footage of landmarks and charming re-enactments of some of the decades highlights. We explored famous people and landmarks, people's favorite past-times, politics, sports, inventors, and more. Alexander Graham Bell, Baseball, Trains, the Erie Canal, Fashion, and many more topics of interest. I learned how time zones were related to train travel and how soup cans were used to catch golf balls. We learned about the very conservative dress of the decade, as well as the fact that Niagara Falls was the honeymoon vacation of choice. So much great information was crammed into the 30 minutes of video, yet it didn't seem rushed or confusing. The 30 minute bonus track about Alexander Graham Bell is an actual black-and-white documentary called "Mr. Bell", filmed for the 100th anniversary of his birth. It takes us on a journey showing how Mr. Bell invented the telephone. This is amazing enough on its own. But I also enjoyed hearing actual quotes of Mr. Bell. He was quite the visionary, and so many (if not all) of his hopes for the phone have come to be. In addition to his genius, I am impressed with his character. Towards the end of his life, he shared his knowledge and his hopes and passed the torch on to the next generation of inventors. I learned a lot about not only what he did, but about who he was. Side Note: I did find the two images of public hangings a bit disturbing, as did my daughters. So if you have squeamish ones, you might want to have them look away. It is during the discussion of outlaws and only lasts a few seconds. Disclaimer: I received this product free of charge, as part of the TOS Homeschool Crew. The above is just my opinion. Please remember that opinions may, and do, vary. 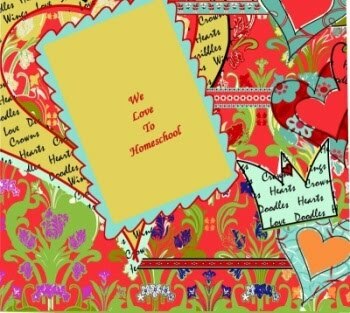 Other homeschooling and homemaking products are available. Some crew members reviewed the Everyday Family Chore System. 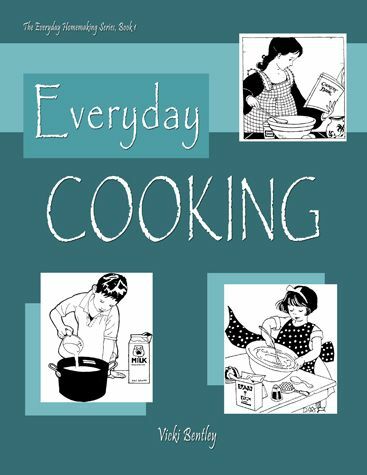 Collection of tried-and-true recipes and hints for simple, everyday cooking with an emphasis on whole foods - from a busy homeschooling mother of eight. To a 2-loaf batch of Vicki’s Bread Recipe, add one egg and increase the honey a tad to make sweet rolls. After rising, roll out with oiled rolling pin to large rectangle (see photo). Spread with some honey (just drizzle enough to be able to pat it by hand to make it all sticky); sprinkle liberally with cinnamon and nuts. Roll up jelly-roll fashion; cut with dental floss into 12-15 spirals. Place in greased jelly roll pan and let rise till double. Bake at 325 for about 25-30 min. 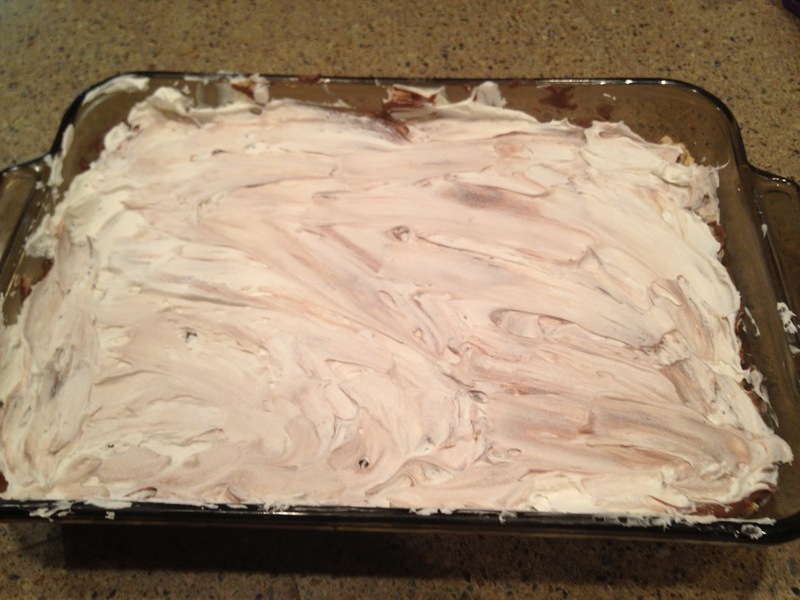 Combine frosting ingredients to till smooth and fluffy. When the rolls come out, spread while warm with cream cheese frosting. click here to see a step-by-step photo tutorial. I signed up for this review to get some creative ideas for some new recipes. To get some ideas and try out something new. And I did get that. 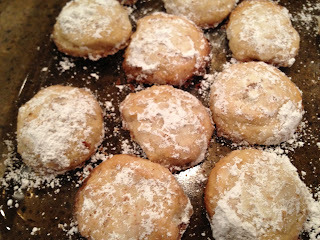 I tried out several of the recipes and I liked them all. My favorite? The "Very Good Cake". Why? Because growing up, every time we would visit Grandma, she would have this cake waiting for us in the fridge. And I always looked forward to it and thought it was the most delicious cake I had ever eaten. Well, time passed and it has been decades since I have tasted that cake. So when I saw it in the cookbook, I was so surprised and super-excited. I just had to try the recipe...and it was so yummy. It truly is a "Very Good Cake", whether I am 4 or 40 years old. I like the personal touch in the recipes. Vicki doesn't just give me ingredients and directions. Scattered throughout are helpful hints, tips from her experiences, photos, and substitution ideas. But the cookbook is so much more than a cookbook. It has ideas for bulk cooking. These ideas show ways to spend a little time upfront, to save a lot of time later. Did you just buy 10 pounds of ground beef at a bulk discount? Brown all 10 pounds the night you get home. Vicki offers several ideas of what to do with the meat. She also mentions several ideas of foods that freeze nicely. Cook it ahead of time, freeze it, and you only need to warm it back up when you are ready for it. Vicki encourages readers to use whole foods and cook from scratch as much as possible. This is something I have heard more and more about. Still, I can't just change my shopping and cooking ways overnight. But, she offers me some very practical ideas of places I could start, to see some immediate benefits. Breakfast is a challenge in my home. You wake up and everyone is hungry. So my tendency is to grab something "packaged" or to make something quick and easy, but not always all that healthy. Vicki gave me several ideas for breakfast that are both quick and healthy, and most importanly...very yummy. Vicki also offers some help with weekly meal planning and 30-day meal planning. If you are like me, it is very hard to come up with creative ideas. I get stuck in a rut and have a hard time thinking up new ideas for dinners. So to sum it up...there are some really great and yummy recipes in the book. You should try that "Very Good Cake"...because it is so very good. But it is much more than just recipes. 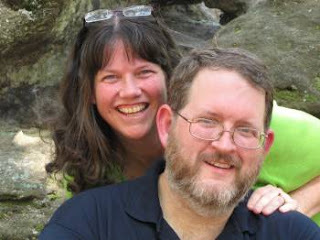 Vicki has shared so many helpful tips and hints and checklists. It is almost like a crash course home economic course.